€218.00+ A step towards glory [First build]. Low budget but pretty impressive with all new feature like USB 3.1 USB type -C, SLI,Crossfire , Realtek 1150 audio chipset with 115 SNR with rea AMP. Awesome motherboard. Has everything I needed and more. Nice LED's on it as well. 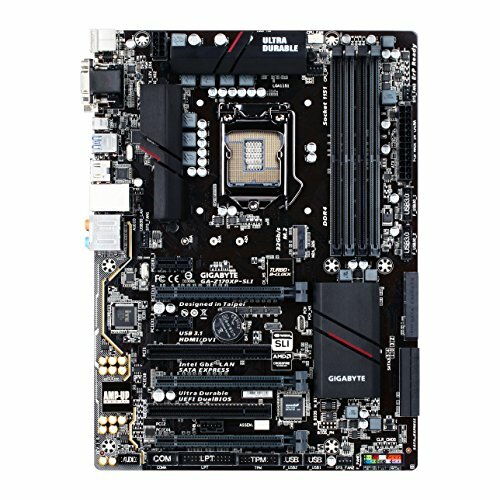 Great budget MOBO but have to say Bios took me a little bit to figure out. from completed build 1151 "Rey"
This is a fantastic budget board and I almost hate to give it 3 stars. SLI support, an m.2 PCIe port, USB 3.1, 3 system fan headers, decent BIOS, the EasyTune and System Info Viewer software work nicely. Setting fan profiles and OCing the CPU are easily accomplished right inside Windows. It really is a good board, and I don't regret my purchase at all. I feel like a bunch of nitpicks pile up to make me knock it down a couple pegs though. The board itself feels slightly weak, and when I was plugging in some cables I noticed it bending. No permanent damage, it moved right back into place when I relented, but it was small cause for concern. The included IO shield is also very weak and bare minimum. There is a very slight audio feedback using the 3.5mm jacks with my earbuds, that isn't present using USB. Additionally, the SATA ports are horizontal off the edge of the board, which might make certain builds difficult. Finally the included G Connector almost seemed like more trouble than it was worth. I accidentally inserted a cable upside down, and needed tweezers to get it out again. No problems with this board. I just wasn't fond of all of the SATA ports being turned 90 degrees away from the board. It hides the connectors, but is hard to work with sometimes. Had all my needed fan headers, UEFI DualBIOS, and two USB 3.0 headers. Great BIOS, easy to navigate and update. It's a serviceable motherboard. It has enough SATA, USB, and SLI-capabilities to work for me. I can overclock, but I'm not going to force the issue by buying equipment that would only make sense if I was. It has an ugly brown PCB when u take pictures with the flash on. 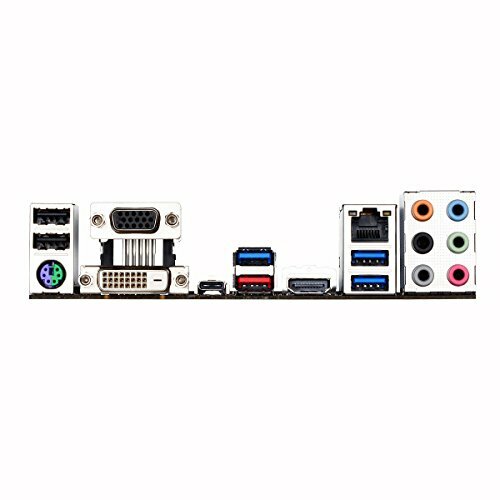 It's a good motherboard but there are better options out there. Some quirks with the software they offer, but very easy Bios and OC options. Build quality could be better. 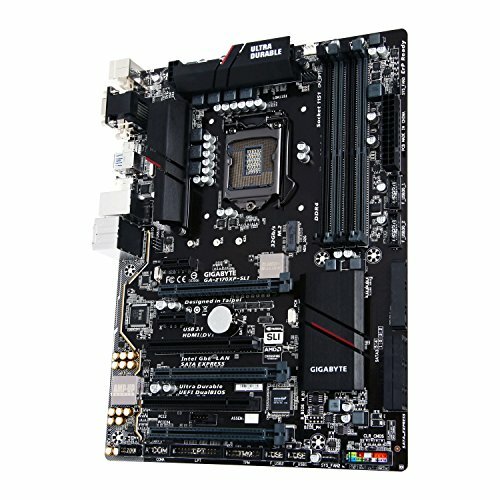 z170 without hurting the wallet, lots of features I'm probably not going to use. It just works without a single problem.